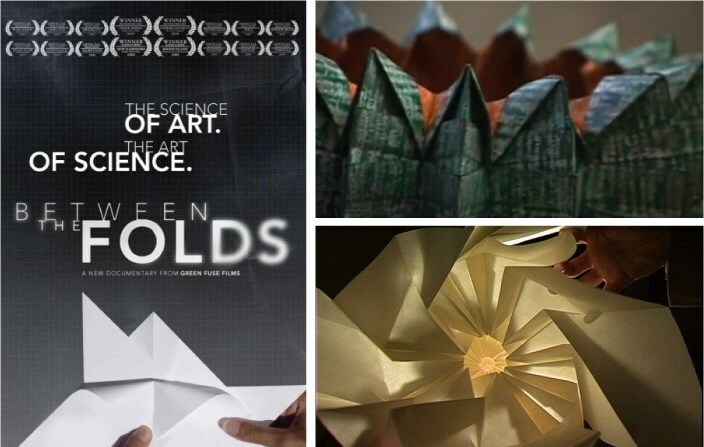 I recently watched Vanessa Gould’s fascinating documentary Between the Folds who profiles brilliant artists, mathematicians and scientists reinventing the ancient Japanese tradition of origami. The art of paper folding is used as a medium for construction, to develop algorithms, to explore more origami techniques and shows how closely art and science are intertwined. Not only are these origamists creating unimaginably beautiful pieces of art and thought-provoking mathematical models but foremost trying to explain the world through paper art. Everything about this documentary is exquisite and absolutely captivating.